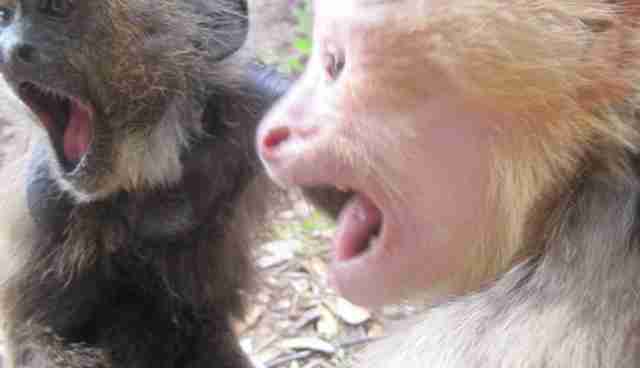 Mickey, a white-faced capuchin, and his best friend Ebi, a weeper capuchin, are known as the "bad boys" of Jungle Friends Primate Sanctuary in Florida. Although they make quite the affectionate duo now, that wasn't always the case. Mickey used to be someone's pet in Louisiana. But he didn't even have the decency of a proper living enclosure. Instead, his former owner kept Mickey in a small wire cage, hidden deep in the woods. Kari Bagnall, the founder of Jungle Friends, told The Dodo that she isn't certain how long Mickey had been kept out there on his own before he was discovered, and ultimately confiscated, by animal control. He's lived at the sanctuary since August 2001. Ebi's capture and transfer to the sanctuary didn't go as smoothly. Another Louisiana rescue, Ebi was handed over to Angie and Randy Walker, a couple known for taking in unwanted animals, by his former owners in 2003. 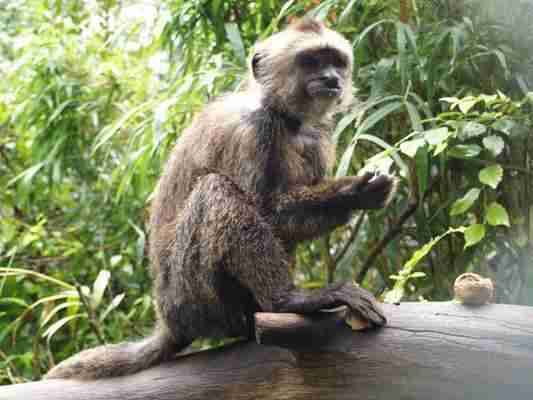 The couple hesitated to take Ebi in at first because they didn't have experience handling a monkey. But Ebi's owners threatened to shoot him if they didn't, leaving the Walkers with no other option but to house him temporarily, Bagnall said. 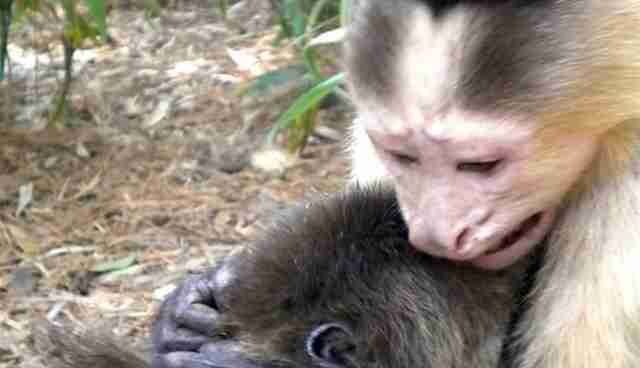 "[Angie] put him in a carrier in a garage, then called me and told me she had a monkey there," Bagnall said. "I said, 'Did you lock the carrier?'" Angie told her no. Bagnall was concerned. She told Angie to stay on the phone with her, but to go check and see if Ebi was still there - and he wasn't. He had managed to escape and was officially on the run. 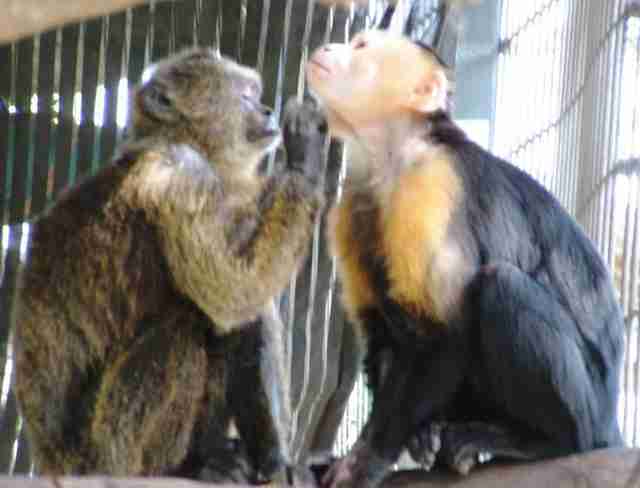 During the period of time when he was missing, a local woman came across Ebi and managed to get him into her car - however, after an incident involving French fries she tried to take from the monkey, he bit her and escaped once again. "He was on a golf course, and ... [officers] were chasing him with golf carts, trying to net him on somebody's shoulder, and he just kept running away until he ended up in the swamps," Bagnall said. "Then no one saw him for awhile." Worried about freezing January temperatures and the risk that, since he had bitten a person, authorities would label Ebi as "dangerous" and euthanize him, Lee Ward, a former staffer at Jungle Friends, made it her mission to find Ebi. She went to where the monkey had last been seen and set up a picnic, where she ate chips loudly in the hopes of attracting him. Her plan worked - Ebi eventually approached her, cold and very hungry. He had been caught at last. 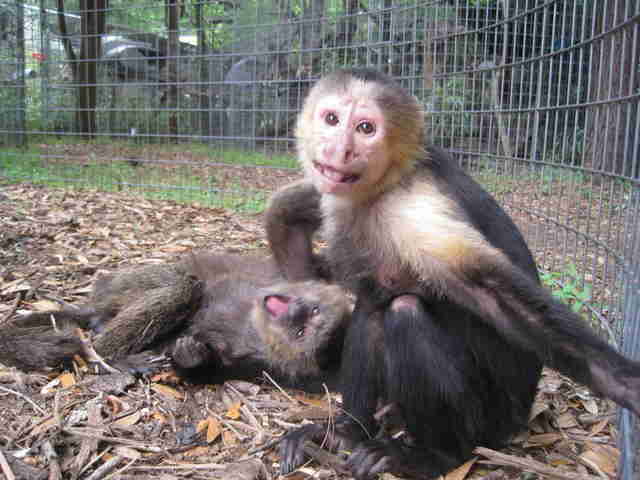 Once they arrived at the sanctuary, both Ebi and Mickey quickly earned their "bad boy" reputations. 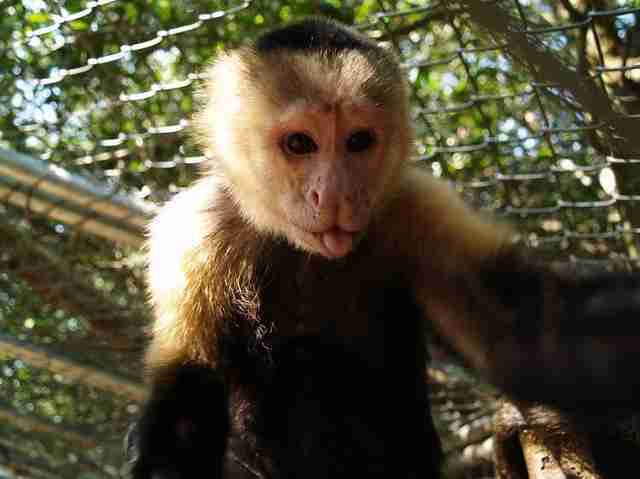 Mickey was placed with other white-faced capuchins, but it always ended in a fight. 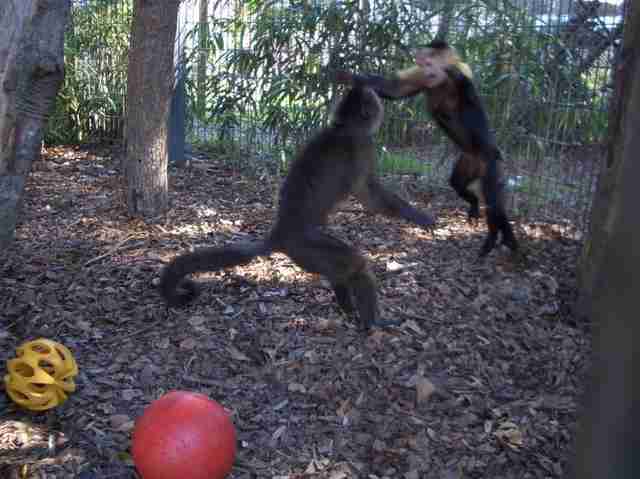 Ebi was just as unfriendly when placed with brown capuchins. 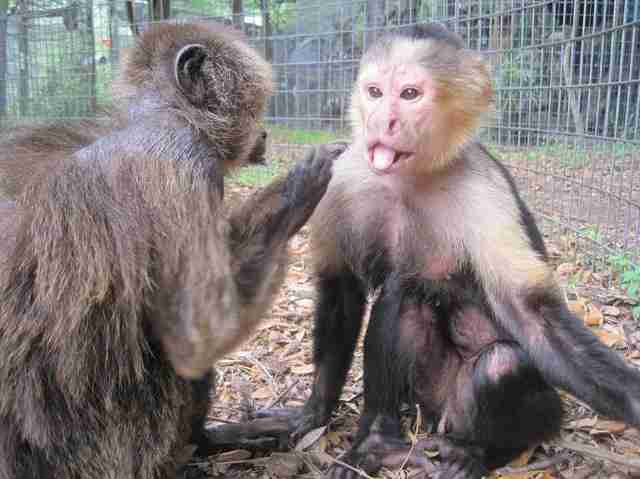 A staffer at the sanctuary then suggested to Bagnall that both monkeys be put together. "I said, 'Are you kidding me?' Two alphas like them being mean to everyone else, you want to put them together?" Bagnall said. "Turns out it was the best thing we ever did." Their relationship was proven when Ebi dislocated his hip a few years ago, and had to spend a week in the clinic after it was reset in order to give it time to heal. Mickey missed Ebi so much that he showered his friend with affection upon his return, showing off a tender side that, Bagnall said, had not been seen before. 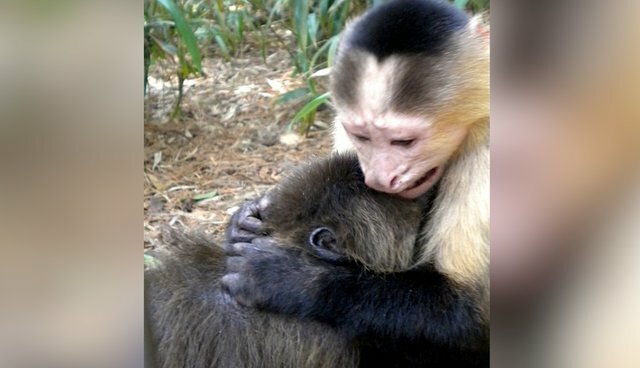 In a photo captured a little over a month after Ebi's return, Mickey is seen holding Ebi close, with Ebi's face buried in his chest - a testament to their unshakable bond. "They just love to play constantly. 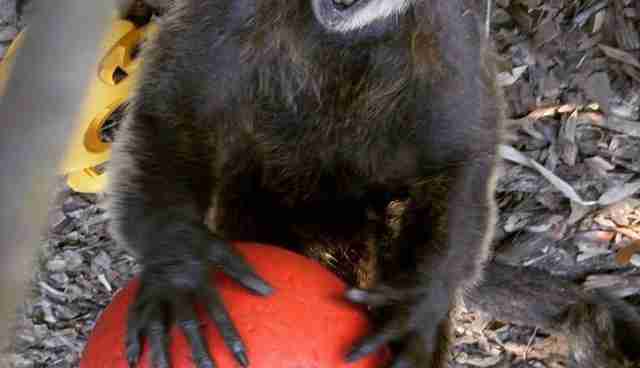 I've never seen monkeys play so much," Bagnall said. "They love each other in every way that there is ... They're just like soul mates." 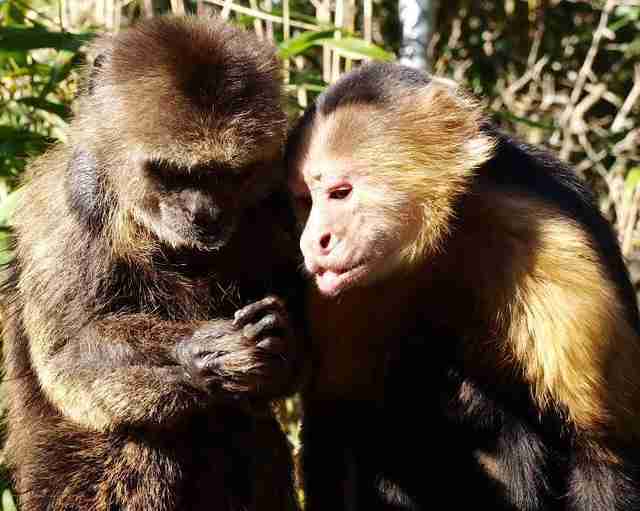 Want to help Jungle Friends continue doing good work for animals in need? 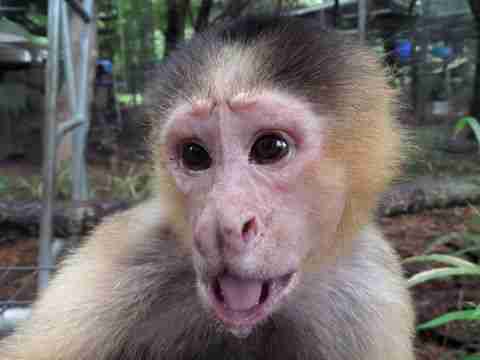 Consider making a donation here or sponsoring a monkey here.